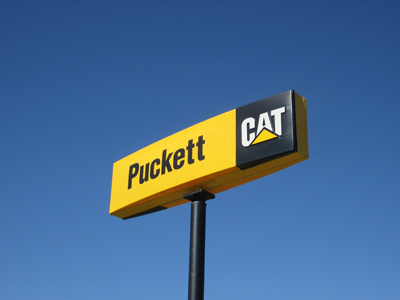 Puckett Machinery Company is the Caterpillar heavy equipment, rental services, and engine dealer for central and southern Mississippi. Helping our customers succeed is our number one priority. We serve a wide variety of markets and treat each with the dedicated staff, products, services, and facilities necessary to provide an unparalleled level of support. A great many highly successful Mississippi companies and individuals depend on us to come through for them every single day. We view that as a great privilege and a tremendous responsibility. We take that responsibility seriously and expect every one of our employees to feel the same way. At Puckett Machinery Company, our business philosophy is actually pretty simple: serve each individual customer better than anyone else out there. We’re serious about providing service, and that desire to provide an unmatched level of support drives every decision we make. We are fully and completely committed to providing higher quality products, more choices, greater expertise, first class support, and ultimately, better overall solutions than anyone else around. For over three decades, Puckett Machinery Company has been recognized as a fierce competitor, an outstanding employer, and a top-quality supplier to many different types of equipment, rental services, and engine customers in the central and southern part of our state.